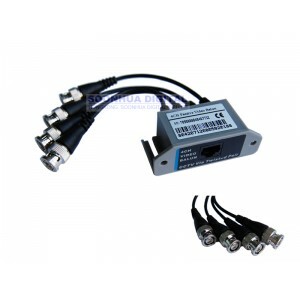 Video balun is to convert the video signal into the balanced signal applicable to be transmitted on common Cat-5 unshielded twisted pair wire with prefect transmission effect,which can be applied in the occasions such as video monitoring and video meeting and can transmit four channels of video image simultaneously on an 8-core Cat- 5 twisted pair wire.It can simplify the wiring project and save wire use quantity. 1.Adopt differential signal transmission with excellent anti-jamming ability. 2.Save project wire expenses,each a pair of twisted pair wire transmits one channel of video signal and one common Cat-5 unshielded twisted pair wire can simultaneously transmit four channels of video signal. 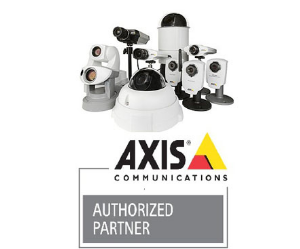 3.Full-motion CCTV video at distances up to 330m when used with used with any passive UTP video transceiver. 4.Up to 1500m with any active UTP video receiver. 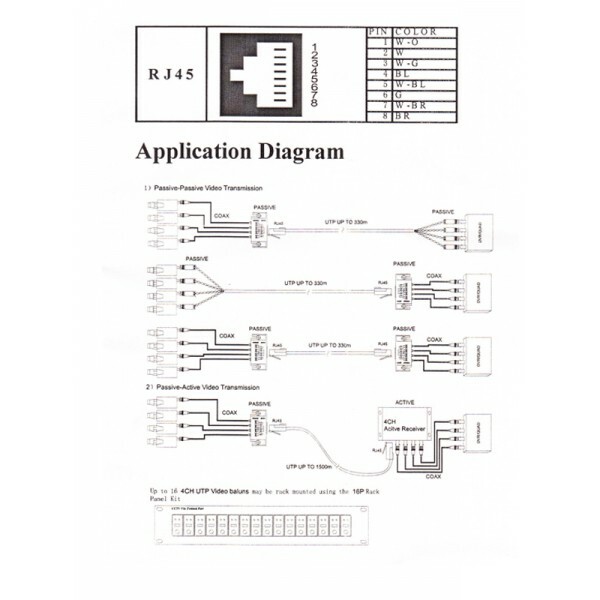 6.Applicable to NTSC,PAL,SECAM and CCIR systems. Clamp modular plugs for a Cat-5 unshielded twisted pair wire according to the connection order of TIA/EIA-568B(please refer to the following figure),connect the clamped modular plugs to the RJ45 sockets,connect the cax to the connection terminal. Bemærk: Pris er pr. stk. der skal anvendes 2 stk.